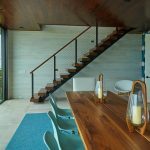 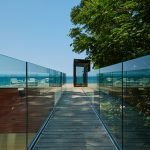 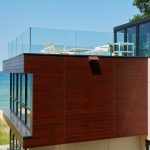 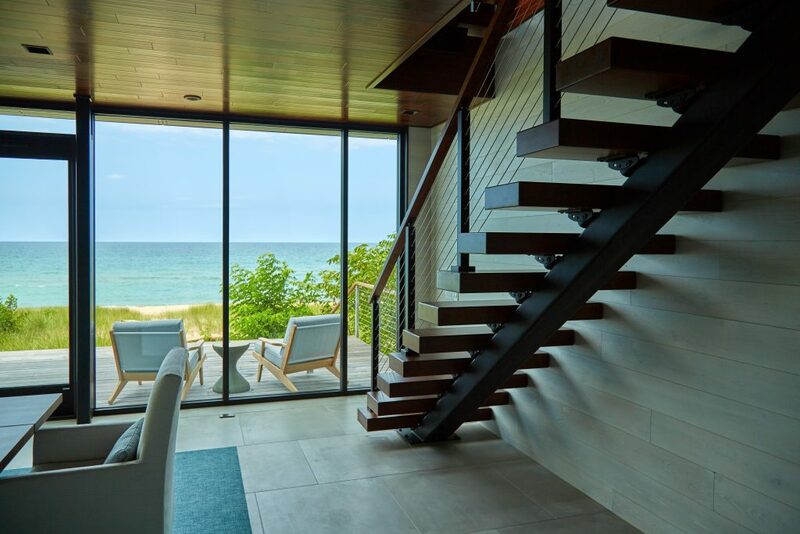 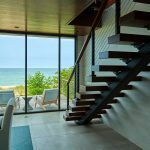 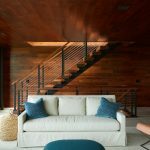 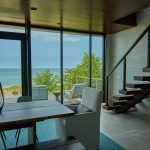 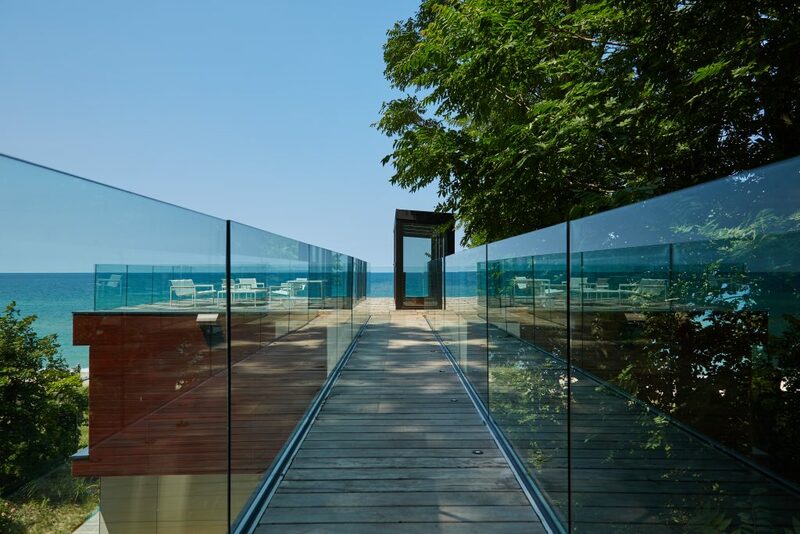 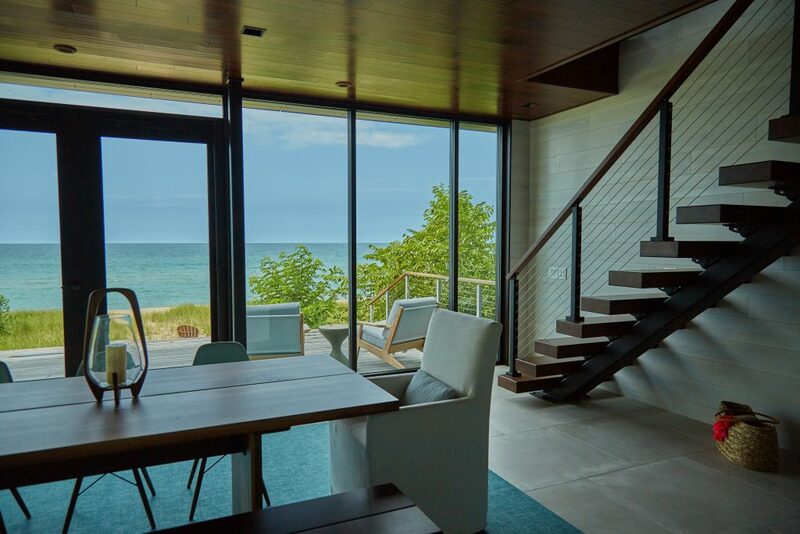 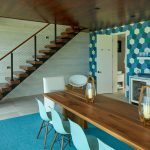 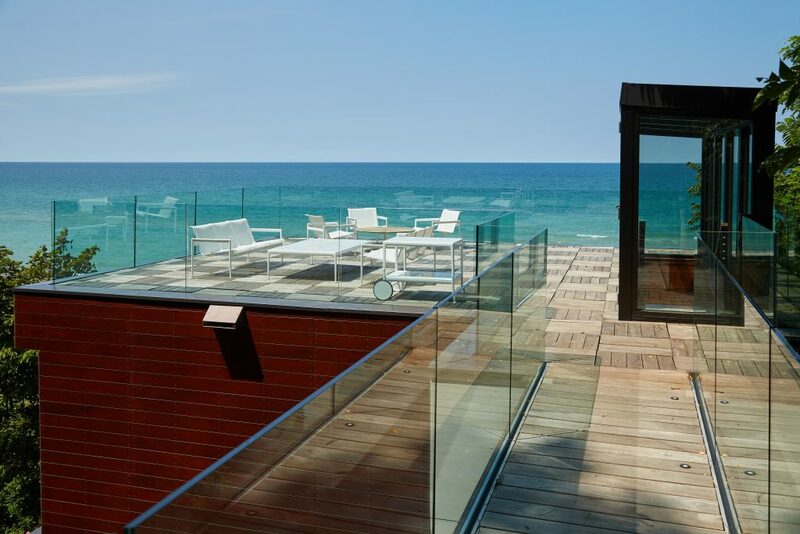 Located on the shore of Lake Michigan in Union Pier, Michigan, this impressive home is now a stunning image of luxury thanks to our latest innovations in glass, floating stairs, and cable railing. 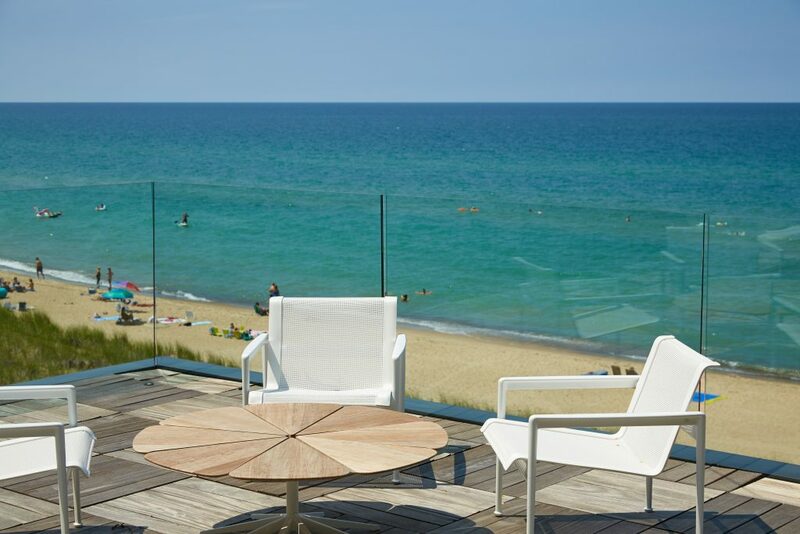 The rooftop patio offers a birds-eye view of the charming lake and beach. 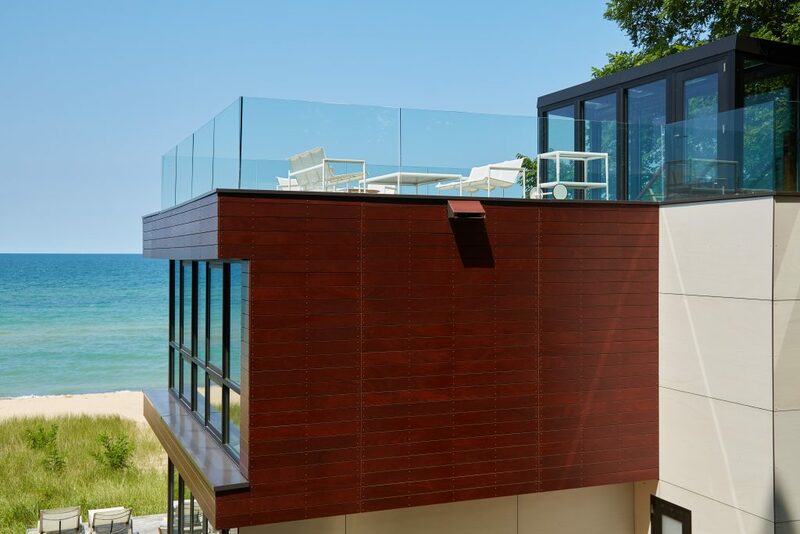 We knew the roof’s railing had to be able to withstand lake effect winds, provide exceptional security, and maintain excellent views all around. 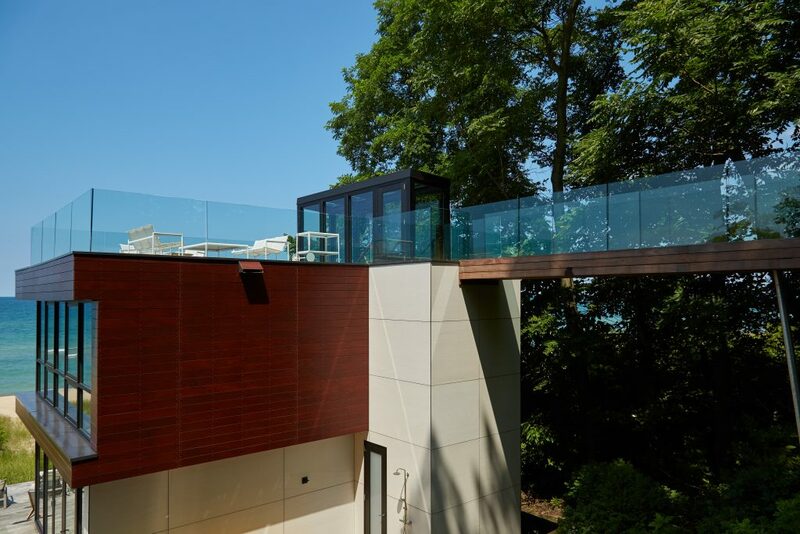 Glass railing checked all of these boxes. 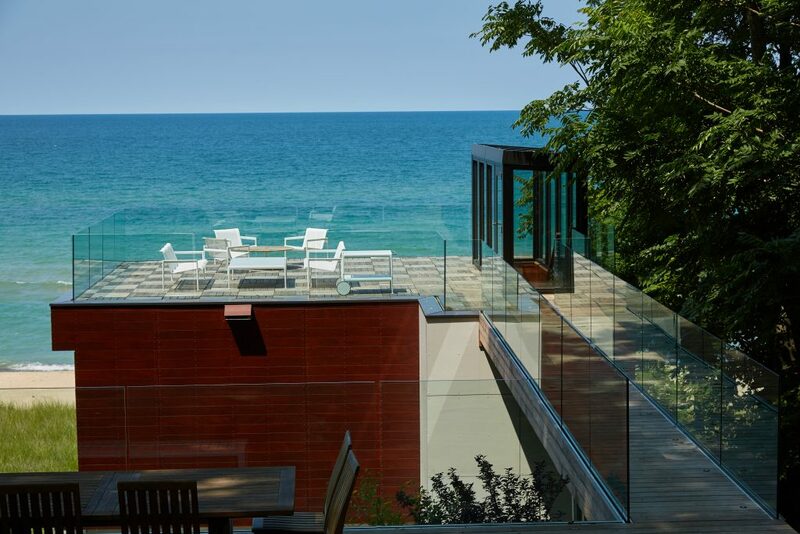 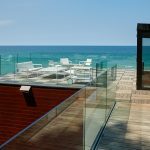 Glass railing is an excellent windbreaker, but still allows small breezes to pass through so guests can enjoy the gentle winds from Lake Michigan. 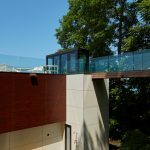 We installed premier cable railing with a sturdy maple handrail on the outdoor deck to provide safety without sacrificing entertainment space. 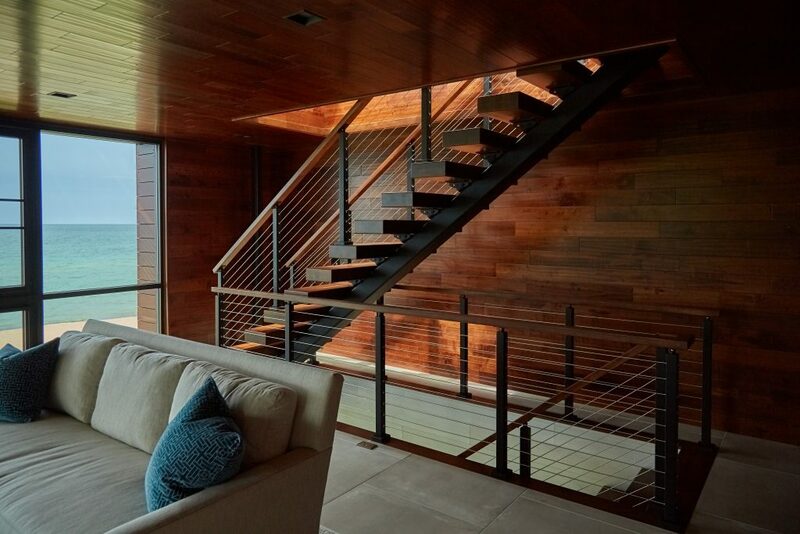 This railing preserves the expansive view, while also adding stability for guests navigating up and down the stairs. 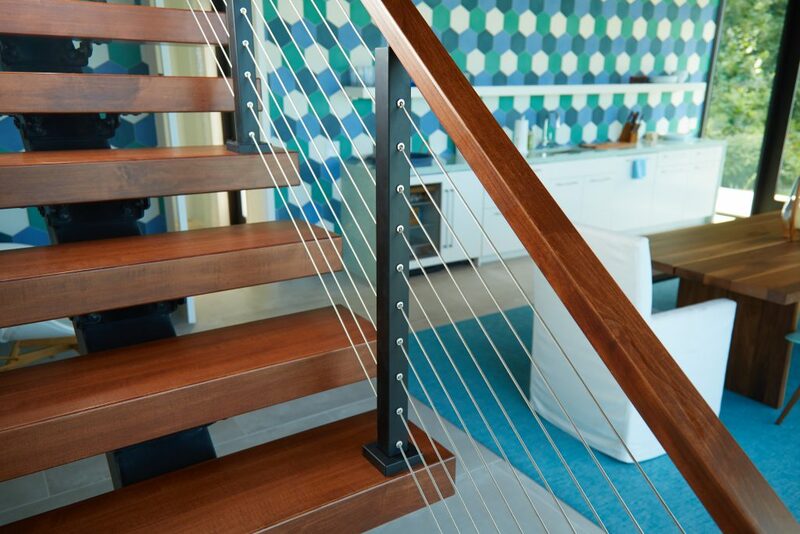 Finally, the inside of this condo is no less stylish and spacious than the outside. 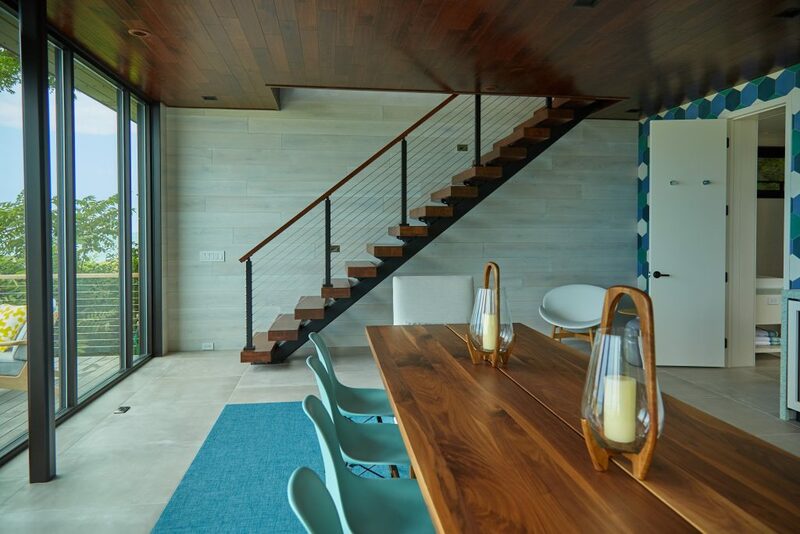 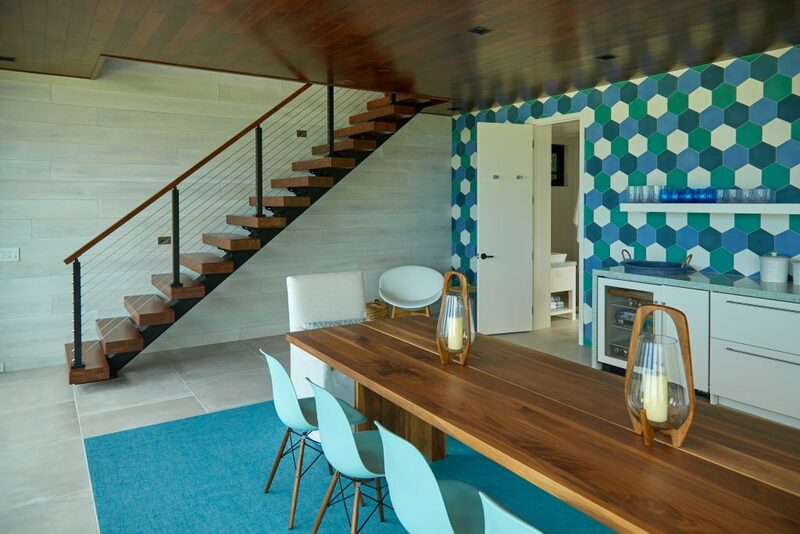 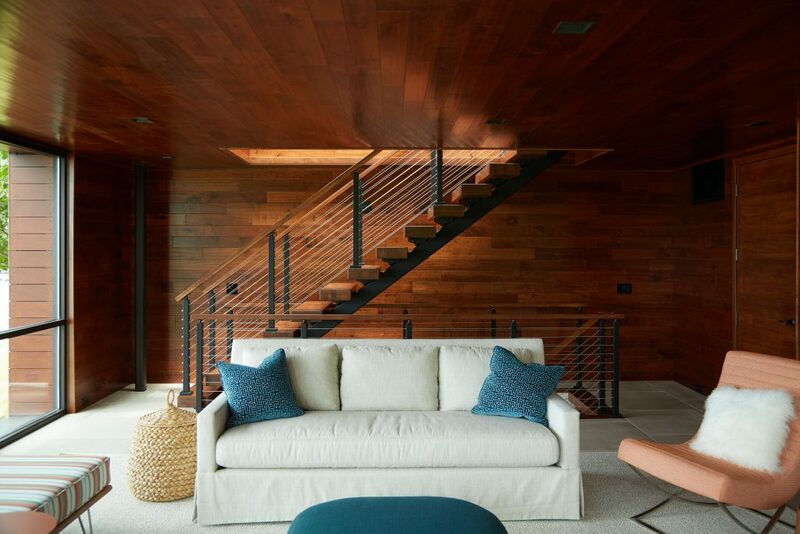 Thick wood treads on the beautiful floating staircase match perfectly with the wood table. 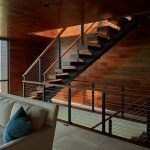 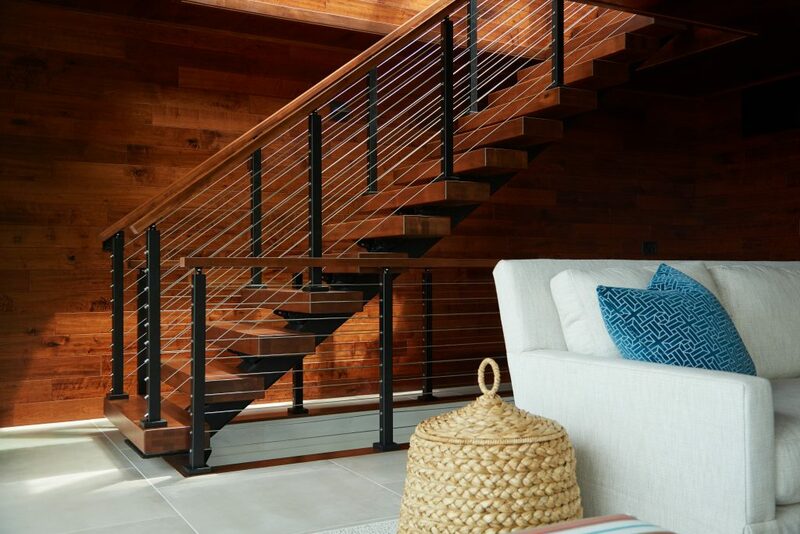 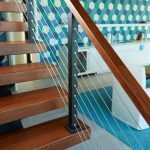 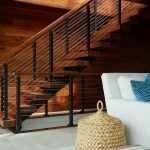 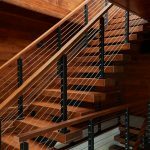 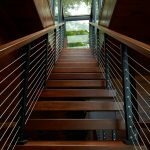 Sleek cable railing lines run the height of each story, tying together each level with a simple, modern touch. 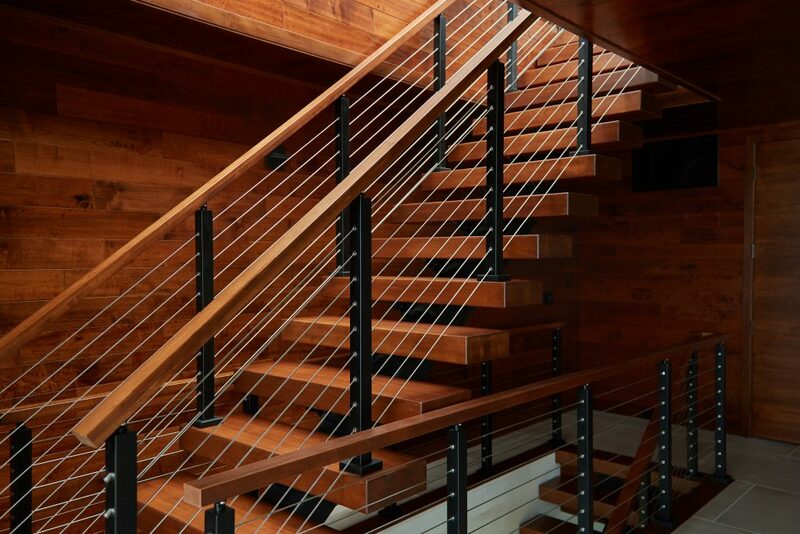 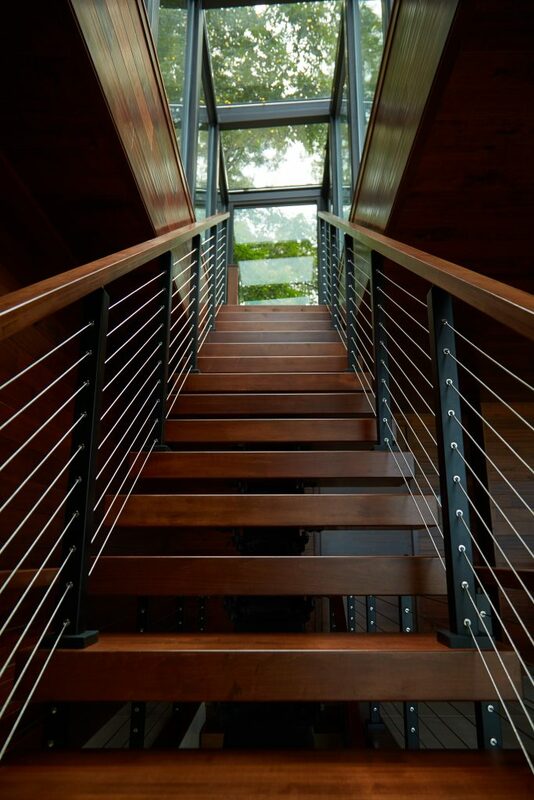 Together, glass, floating stairs, and cable railing are the perfect finishing touches for this prestigious home.